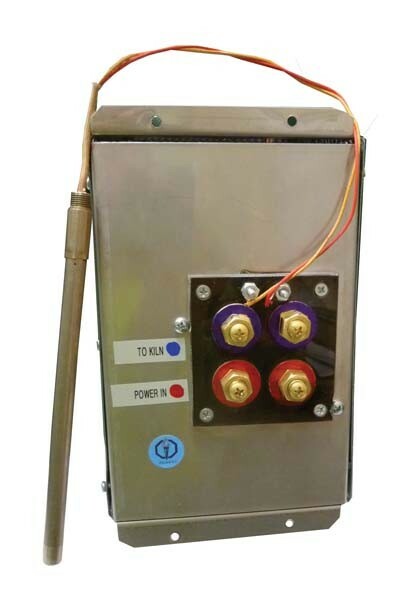 Replace your Kiln-Sitter with an electronic controller! Electro Sitter will replace your obsolete kiln sitter model! The Electro Sitter comes complete with electronic controller of your choice for cone-fire or ramp/hold programming, an attached Type K thermocouple, ceramic fiber, and electronic controller manual. Installation is easy. The Electro Sitter will fit where the kiln sitter/timer is attached to the kiln. Simply remove the screws from the kiln sitter on the front of the kiln, then detach wires connecting to the kiln sitter. The box will fit where the kiln sitter/timer are attached to the kiln. Simply remove the screws from the kiln sitter on front of the kiln, then detach wires connecting to the kiln sitter. Wires will be attached to the back of the Electro Sitter exactly as they were attached to the kiln sitter terminal block. The thermocouple from the Electro Sitter goes through the kiln sitter hole and is exposed 1" inside the kiln. Use fiber to fill space in kiln sitter hole. After the Electro Sitter is installed, read the controller manual that came with it. When you are ready to program the controller, turn all kiln switches to high. Your now have an electronically controlled kiln! 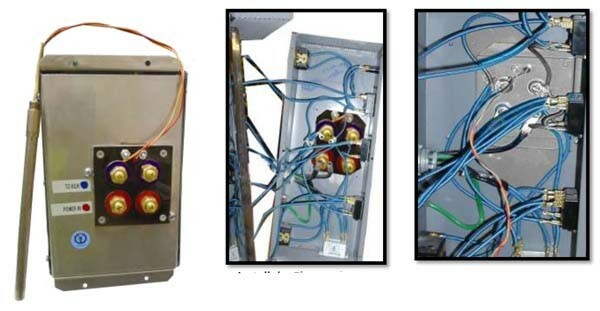 Electro Sitters may be used in any brand kiln that has a kiln sitter. The units are rated for kilns up to 50 amps, higher amperages available at an additional charge.